Multi-platinum selling recording artist Bryan Adams will be plugging in once again and hitting the road with his full band in April to celebrate the 30th anniversary of his iconic rock album, Reckless. Promoted by Live Nation, the Reckless 30th Anniversary Tour kick off on April 11 in Houston, Texas at the Cynthia Woods Mitchell Pavilion, before hitting cities throughout the U.S., including New York City, Las Vegas, Chicago, Dallas and more. 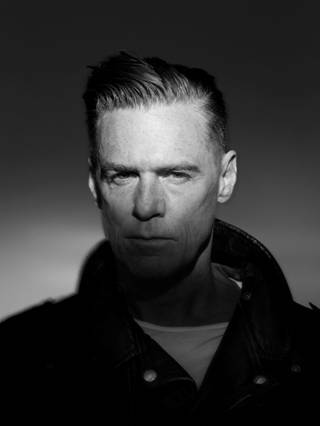 Bryan Adams will play Red Hat Amphitheater in Raleigh on Saturday April 18. Tickets will go on sale Saturday February 28 at 10am at Livenation.com, via the Live Nation app, Orleans Homes Box Office at Walnut Creek Amphitheatre, all Ticketmaster outlets or charge by phone at 800-745-3000. Adams will be performing a set that will honor not only the 30th anniversary of Reckless — a deluxe version of which was released in November 2014 featuring exclusive expanded bonus material — but also his endless catalogue of rock classics. Originally released in 1984, Reckless produced a record six huge hits: “Run to You,” “Kids Wanna Rock,” “Somebody,” “Summer of ’69,” “One Night Love Affair” and “It’s Only Love,” a duet with the incomparable Tina Turner. Reckless also gave Adams his first U.S. #1 on Billboard with “Heaven,” as well as a Diamond Award for over a million copies sold in Canada. The album was the turning point in Adams’ career, resulting in his hugely successful World Wide in ’85 Tour.